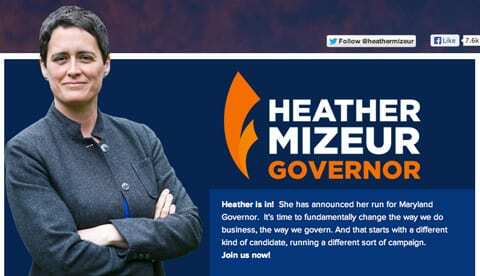 Ten openly LGBT candidates are running in primary races today, including lesbian State Delegate Heather Mizeur in her bid for the Democratic nomination for governor of Maryland and Sean Eldridge, the spouse of Facebook co-founder Chris Hughes, running for the Democratic nomination to a U.S. House seat. Eldridge is unopposed for the Democratic nomination, but Mizeur is running third against two much better known and well funded state elected officials. Another important primary is that of openly gay U.S. Rep. Sean Maloney. He’s unopposed for the Democratic nomination, but both he and the Republican candidate are also on the Independent Party ballot. Maryland’s Democratic primary offers another interesting match up today: openly gay incumbent State Senator Richard Madaleno against LGBT activist Dana Beyer. The winner of the primary takes the seat because there is no Republican running. 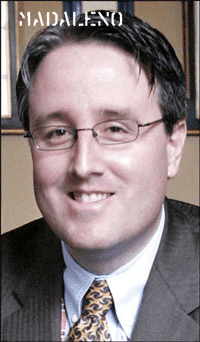 First-term incumbent Democratic Delegate Luke Clippinger has four opponents for his Maryland legislative district. And first-term incumbent Democrat Bonnie Cullison has five for her Maryland district. Incumbent Democratic Delegate Maggie McIntosh also has a challenger for her seat in Maryland. Evan Glass is running for re-election as a member of the Montgomery County Council in Maryland, and Byron Macfarlane is running for re-election as register of wills for Howard County, Maryland. The White House sent out a press notice after 6 p.m. Monday alerting reporters about a “White House Forum on Global LGBT Human Rights” today. Those wishing to cover the event had until 10:30 this morning to RSVP. 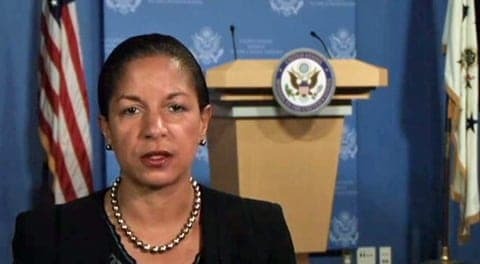 The notice says activists from around the world would be meeting with “the broader human rights community to discuss how to partner with the U.S. government….” National Security Advisor Susan Rice will deliver a keynote which will be webcast live at 2:15 p.m. EDT. U.S. Senator Tammy Baldwin is among the eight female senators who will testify before a Congressional hearing this morning on “combating violence and discrimination against women around the world. The hearing will be webcast live beginning at 9:45 a.m. EDT. 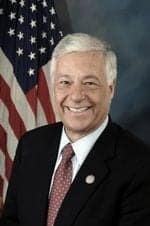 Openly gay U.S. Rep. Mike Michaud, a Democrat, has a four-point lead in his effort to unseat Maine’s Republican incumbent Governor Paul LePage, but the Portland-Press Herald said its latest poll suggests voters might swing their support to an independent candidate. A victory by Michaud in November would be historic, making him the first openly gay person to be elected governor. The poll conducted June 12-18 shows Michaud with 40 percent, LePage with 36, and independent Eliot Cutler with a mere 15. But the margin of error is 4.3 points and seven percent of those surveyed were undecided. In one-on-one match ups, Cutler leads LePage by 12 points, while Michaud leads by seven. “Poll results suggest that many Mainers will watch to see whether independent Eliot Cutler or Democrat Mike Michaud has the better chance this fall of unseating the governor, then vote strategically,” said the paper. The only institutions that the public holds in worse esteem than Congress and “big business” are television news and internet news. A Gallup poll asking 1,027 adults nationally to identify “how much confidence” they have in 17 institutions (“great,” “quite a lot,” “some,” or “very little”) found the greatest confidence for the military (74 percent), “small business” (62 percent), the police (53 percent), and “the church or organized religion” (45 percent). At rock bottom was Congress (7 percent), followed by “television news” (18 percent), “news on the Internet” (19 percent), and “big business” (21 percent).